Make no mistake about it: English football is entering new terrain. New media investments, and the changing roles and structure of clubs, has led to football rapidly changing both economically and culturally – despite the actual game itself remaining relatively stable – and right now English football should be at its pinnacle. But on an international stage, England is still in a vacuum of underachievement and failed expectations. This summer after another early exit from the European Championships, the then England Manager Roy Hodgson and the Football Association (FA) parted company. The FA looked to the powerful “super-agent” Jorge Mendez for support recruiting Hodgson’s successor. Sam Allardyce was lured from Sunderland. Allardyce’s portfolio shows no major trophies in his career achievements and his appointment was greeted by a large chorus of critics. His style of play is contradictory to the FA’s new playing and coaching philosophy, which endorses ball retention. Allardyce endorses lots of long balls, meaning many within see Allardyce’s appointment as a backwards step for English football’s development. The FA, not known for wise decisions and long-term vision, is currently under pressure to reform it’s approach to grassroots football or face government funding sanctions. 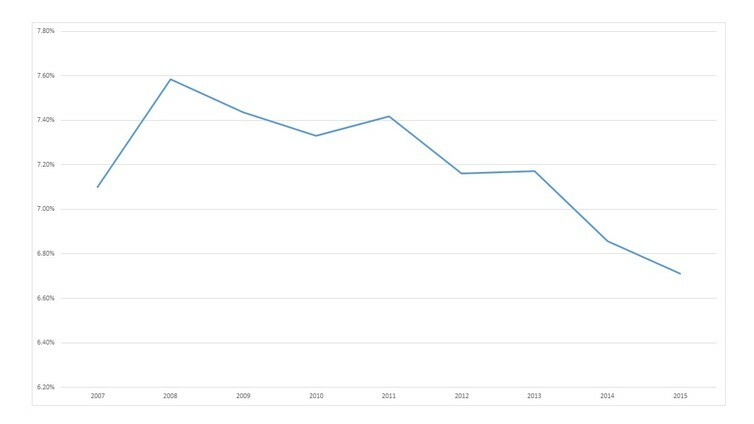 This is not the first time pressure has been applied to the FA – it previously received funding penalties of £1.6m from Sport England, for failing to grow grassroots football participation – with evidence showing a decline in participation in football across the UK (see figure 1). 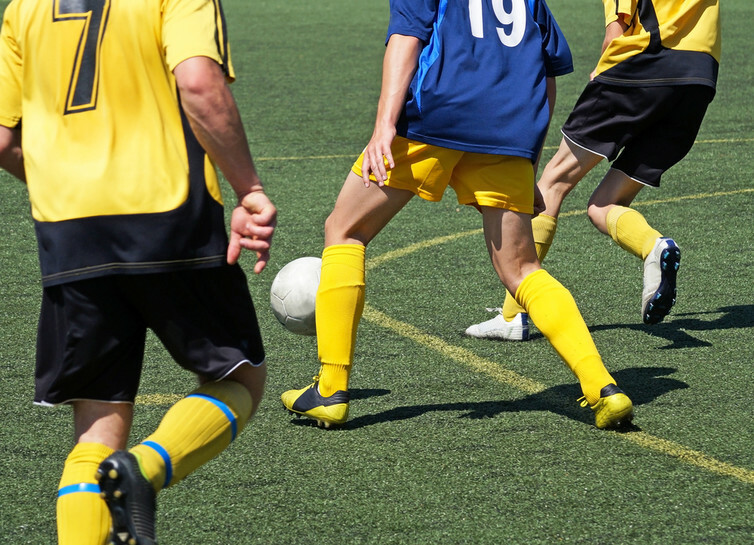 Participation in football Dr Paul Widdop, developed using Active People Survey Data. One theory put forward for falling football participation figures is the infrastructure and standard of surfaces. In 2014, there were 639 publicly available artificial grass pitches in England, compared to 3,735 in Germany. 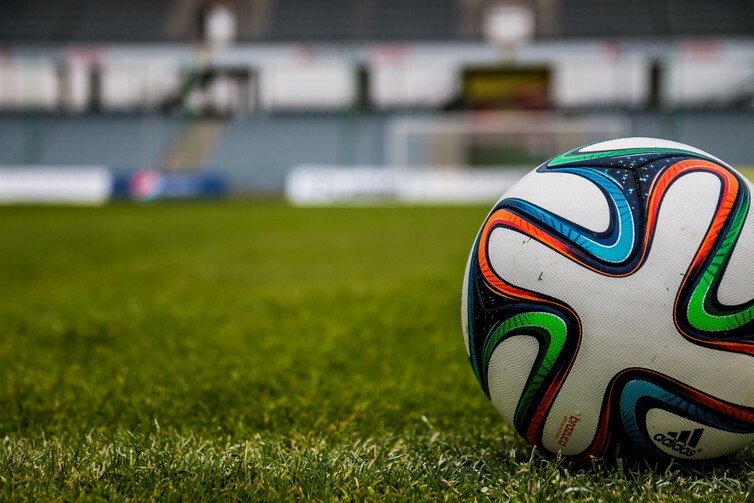 The fact that artificial grass pitches are in short reserve, means that when demand exceeds supply, young and upcoming players are left to play – if they are lucky enough to have “the weather” – on poor quality grass pitches. The FA has previously described these types of pitches as being in an “abhorrent state” with reports of some teams not playing at all during the winter months of November to March because their local pitch is simply not up to scratch. And it’s not like these teams can just move indoors to a local sports hall, because there is usually a cost implication, and besides indoor play isn’t really an option for developing footballing talent. This is mainly because playing in a sports hall makes the ball bounce differently, and move at a different speed and with a different movement. In theory an artificial pitch could be built inside – this is what they have in Iceland and the number of these facilities are growing in England – but this is more expensive. An expense that operators within the current economic climate outside of the height of the Premier League can not afford. Football pitches throughout England are predominately controlled by local government. And like other sports, football has been victim of reduced maintenance and groundskeeper staff in parks, alongside increased pitch fees for association football. In Merseyside for example, Liverpool City Council proposed to cut 1,500 jobs, including the majority of full-time parks staff that take responsibility for the football pitches. And across the River Mersey in neighbouring Wirral, the borough council increased the costs of football pitch fees – a decision met with objection by the Cheshire County FA. Rising costs alongside poor and irregular playing opportunities means a poor experience for players. And football is much like any other sport in that participants want and need a positive experience. And with the wealth of alternative sporting options and services available, if they don’t get what they want, they will simply do something else. This concept is critical to the future of English football. Because if we do not develop football participation, we may lose the national game, or at least the grassroots part. So while the major stakeholders such as the Premier League may quietly endorse and laud their huge academy systems, they know quite well that in reality, their portfolio of players in the future will be a result of external trade and transfer. The recently departed chairman of The FA, Greg Dyke, like his predecessors failed to deliver change and success with either the national team or at grassroots, and only time will tell whether his replacement can make a difference. Yet, The FA has made a commitment to invest £230m, mainly in artificial grass pitch facilities, alongside the development of 150 football hubs built in 30 English cities under its 2020 vision. This comes as part of a national football effort, including further investment from the Football Foundation – which receives £12m a yearfrom both The FA and the Premier League, and £10m from the government. On top of this, the Premier League has also committed up to £1 billion investment in grassroots football (and sport) as part of its £5.5 billion three-year TV contracts. But of course it is unknown whether this will be enough to make a dent in falling football participation. And given that senior commentators and football players say we are 30 years away from meeting the football pitch needs of English grassroots – that is, without the impacts of Brexit and continued austerity on football – it is clear there is still a huge way to go when it comes to solving the English football problem. Ans so for now, the nations grassroots football players will no doubt continue their season to season experience of rained off games, soggy pitches and fixture turmoil. Next Reflections on participation: Social or sporting capital?